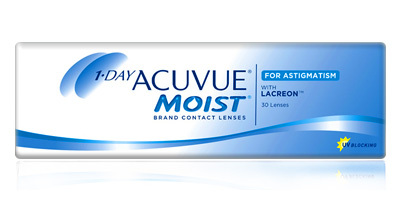 Manufactured by Johnson & Johnson, 1 Day Acuvue Moist for Astigmatism lenses are toric daily disposables designed for comfortable all-day wear. Made specifically for wearers with Astigmatism, they supply the same quality of vision as glasses and the freedom of a high quality, durable lens. These daily disposable toric contact lenses feature the company’s patented Accelerated Stabilisation Design. This is a four-pronged system which utilises the eye's natural blink to secure the lens in position on the eye all day long. Some lower quality lenses often slip out of position and may rotate on the eye, these stay put from the time of insertion until the moment you remove them. 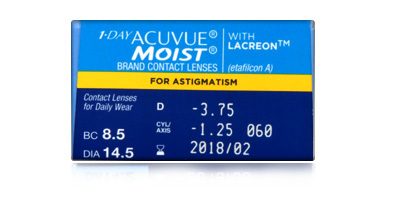 One day Moist for Astigmatism toric contact lenses also feature the moisture-rich ingredient Lacreon, which locks moisture in all day. These lenses also feature an inside out mark which makes them easy to handle, apply and remove. 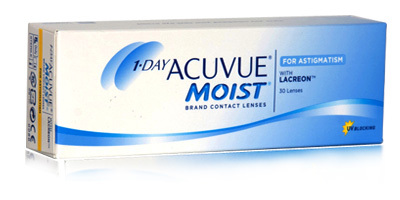 1 Day Acuvue Moist for Astigmatism toric daily disposables raise the bar in UV protection by supplying 70% UV-A blocking and an impressive 95% UV-B blocking. Your eyes will stay comfortable and protected against the potentially harmful effects of the sun's rays. 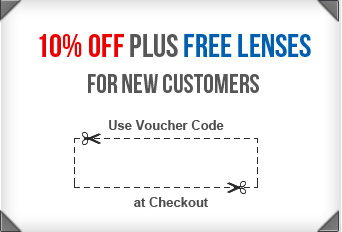 Please contact us on 0330 088 3133 with any enquiries regarding these daily disposable lenses and any other products featured on Lensite.co.uk .